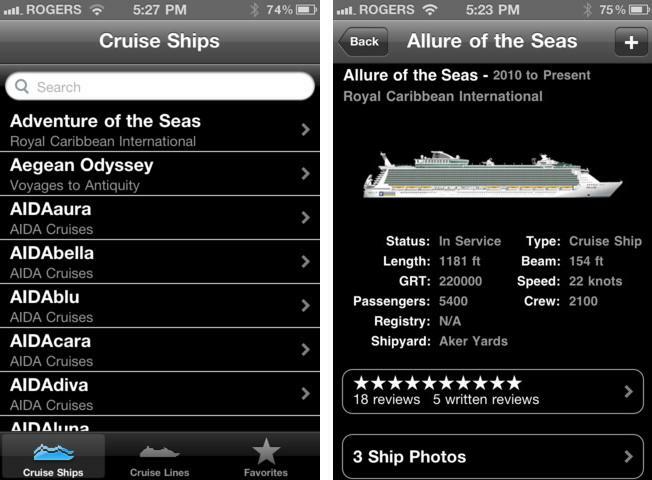 Like a website or a brochure at a fair, mobile apps are an additional channel how cruising companies can present themselves and their ships, using high quality pictures, deck plans, services, entertainment offers and many more. 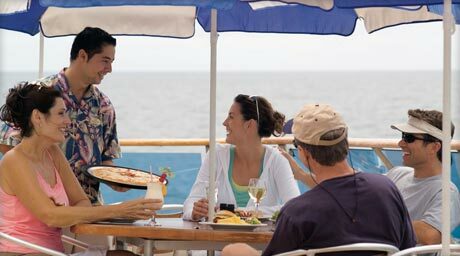 One good app example in this direction is Cruise Ships, coming from NauticalCities (not a cruising company), that shows information and reviews on over 750 cruise ships. The app costs $1.99 and can be download for iOS devices. 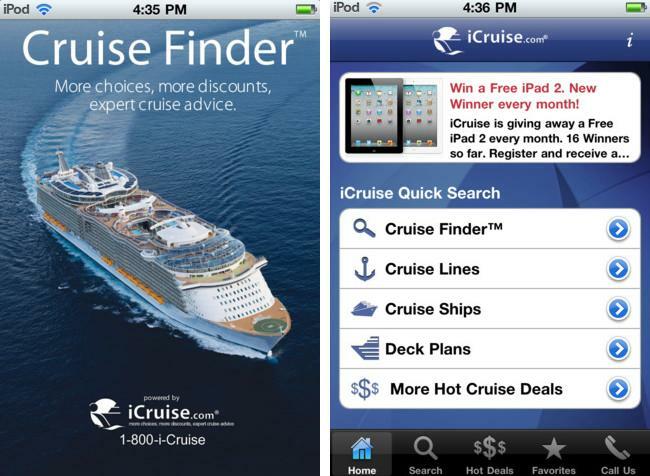 A similar app, but free is Cruise Finder from iCruise, using it you can browse through 220+ cruise ships, 12000+ itineraries, live online pricing, availability & booking, hot cruise deals, port directions, parking and maps, port weather. Get it for iOS and Android. You can also check Ship Mate which costs $1.99 on iOS and has features like: itineraries, deck plans, web cams, ship tracking, budgeting software, excursion research, ship and port information or packing checklist. 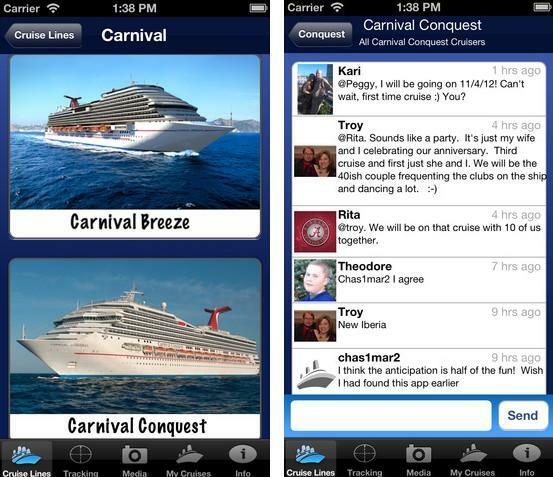 I particularly liked the fact that you can view your future cruise mates and even chat with them. Get it for your iPhone or iPad. Ship Mate is also available on Google Play Store. 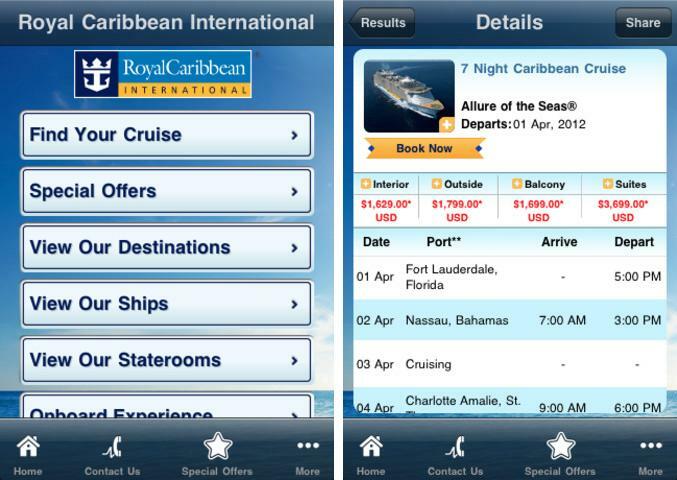 The app from Royal Caribbean gets the answers to questions like “Why cruising?” and “How much will it cost?” right at your fingertips. You can access special offers, destination information, ship facts and deck plans, and using the webcam you can follow live Oasis of the Seas ship. Get it for your iPhone or Android. There’s a lot that could be done on board from advertising services, events, special offers to allowing people to help with word of mouth by sharing pictures and experiences on social networks. However WiFi access is pretty expensive and internet speed is slow on cruise ships, so much of the capabilities are limited in this direction. Through the app you have constant connection with those clients that choose to install it and then generate recurring revenue. In-app purchases can be implemented, so people can buy tickets right from the app, thus encouraging impulse purchases. 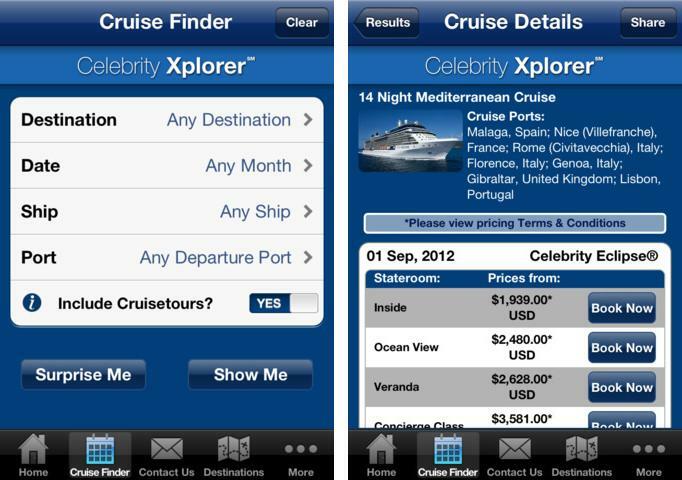 From booking options to what clothes to bring onboard, use Celebrity Xplorer to get advice from Celebrity Cruises. Get it for your iPhone. A mobile app is also a mark that the company is keeping pace with the latest technologies and wants to provide a top class service. 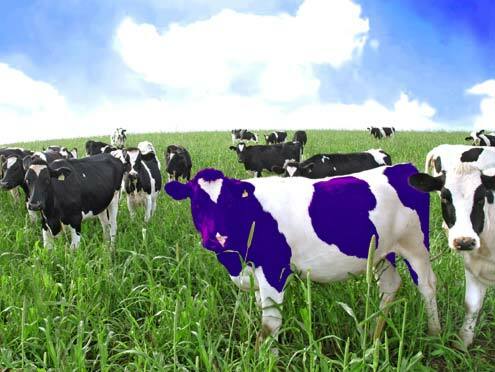 It is an additional piece to differentiate itself from the competition and have a remarkable business, like marketer Seth Godin advised in his brilliant book Purple Cow. However mobile apps shouldn’t live on a separate island, they should be an integral part of the company’s marketing mix and be promoted on the website, on all marketing materials like banners, flyers on the boat and so on. An app is basically the most intimate communication channel with your clients, the phone is in our pocket all the time.